A California law named after Donda West, with son Kanye in 2006, reinforces what reputable surgeons already do, doctors say. (CNN) -- A new California law named for rapper Kanye West's late mother requiring a physical exam and medical history before cosmetic surgeries isn't likely to lead to better patient safety, some cosmetic surgeons said. What the legislation calls for is already common practice, the doctors said. The new law also states that violating this provision "would not constitute a crime," so charges would not result. In effect this month, the Donda West Law requires a patient to receive a physical exam and written clearance from a doctor within 30 days before elective cosmetic surgery. California is believed to be the first state to pass such a requirement. West, a former professor and chairwoman of the English department at Chicago State University, died on November 10, 2007, a day after getting cosmetic procedures on her breasts and abdomen in Los Angeles, California. The 58-year-old was a major influence in her son's life and had been featured in the Grammy-winning artist's lyrics. The Los Angeles County autopsy report attributed West's death to "coronary artery disease and multiple post-operative factors" and found no sign that her death stemmed from a surgical mistake. The Donda West Law reinforces what reputable cosmetic surgeons regularly do, several doctors said. Her death was so sudden; I wanted her name to continue. So I went after the law. Requiring a physical exam before surgery, to check a patient's vital signs and other markers of health, as well as collecting personal and family health history is "so fundamental as part of medical training and medical care that to require it by law seems to be moot," said Dr. Michael McGuire, president of the American Society of Plastic Surgeons. McGuire likened it to telling doctors, " 'Make sure you suture up all the wounds.' At what point does it become absurd?" While the law "codifies what reputable physicians have already been doing for a long time, it'll never change the guys who want to be outlaws to do anything different. They're going do what they want to do," said Dr. James Wells, a past president of both the California Society of Plastic Surgeons and American Society of Plastic Surgeons. According to her autopsy, "it is unknown whether Ms. West had undergone any specialized tests prior to her surgery." Dr. Jan Adams, the Beverly Hills plastic surgeon who operated on West, said that West underwent several physicals and histories before the procedure. But West's niece Yolanda Anderson said her aunt had not undergone a physical examination before surgery and remains convinced that had West received one, the outcome would have been different. She said West had an extensive family history of heart problems. "If the medical clearance would've been done, then it would've prevented [her death]," Anderson said. "On the other hand, you need to have a doctor who cares enough to say, 'We can't do this.' "
Anderson fondly recalled a fun-loving aunt who would go shopping and grab coffee with her during family reunions. "She's always been an inspiration all my life," Anderson said. "We were very close. She was my mentor, my friend. I still struggle with it now and then." Stunned over her aunt's death, she pushed for the law in California. "The only way I could vent was to do something," Anderson said. "Her death was so sudden; I wanted her name to continue. So I went after the law." Anderson said she hopes to work on similar laws in Illinois, Oklahoma and New York to prevent deaths after cosmetic procedures. But West's surgeon, Adams wrote in his book "What I Know and the Press Isn't Telling: The Truth behind the Death of Donda West" that "Ms. West's cardiac status had already been evaluated and cleared a few months earlier at Cedars-Sinai Medical Center." The Los Angeles County autopsy report also alluded to this evaluation. West consulted with four doctors before selecting Adams, her friend told a medical investigator, the autopsy report said. "All doctors do history and physicals on patients all the time... ," Adams said. "My point is, [the law] is ineffective -- it's a non-law. It doesn't address any of the issues that had to do with this lady -- no one believes she didn't have a history and physical." In 2009, Adams surrendered his medical license because of alcohol-related offenses, not because of West's death, according to legal records filed in California. Anderson, West's niece, said the Donda West Law is not the law for which she had hoped; under it, a violation would not constitute a crime. "They made adjustments from what I originally wanted, to get the law passed," Anderson said. "I think it should be a crime." California Assembly Member Wilmer Amina Carter, who represents the 62nd District and introduced the bill, said the Medical Board of California -- the state agency that licenses medical doctors, investigates complaints and disciplines those who violate the law -- holds that authority to punish violators. "We're not trying to change penalties," Carter said. "The board sets the penalty; that's already set up." 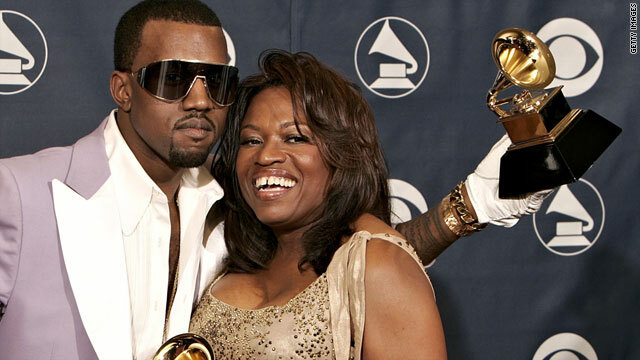 It's more of a gesture to honor the memory of Donda West rather than effective patient safety legislation. Complaints would go to the medical board, and if investigators find that a physician deviated from the standard of care, he or she could be disciplined. That could include some kind of reprimand, suspension or even surrender of the license depending on how egregious the conduct is, said Candis Cohen, spokeswoman for the Medical Board of California. As with all medical procedures, no cosmetic surgery is risk-free. Sometimes, they can have tragic results. "First Wives Club" author Olivia Goldsmith, 54, died during a chin tuck in 2004. In November, former Miss Argentina Solange Magnano, 37, died after experiencing complications from cosmetic surgery on her buttocks. But major risks could be minimized by turning down patients who are unfit for surgery, doctors said. "The physician should have the obligation to say, 'I can't do your surgery because I don't know if your heart is OK or your diabetes is under control.' Physicians have the obligation to say no when it's appropriate," said Wells, a clinical faculty member at the University of California, Irvine. Even so, a complete physical and family history may not always prevent complications. An underlying medical condition may be difficult to detect, or the physical could be so cursory, it doesn't pick up warning signs. Experts said patients should check with their home state's medical board Web site to check a physician's background. They also should make sure the clinic performing the operation has been properly accredited by a group such as the Joint Commission or the Accreditation Association for Ambulatory Health Care, which inspect facilities to make sure they're set up to perform surgical procedures safely. "The vast majority of physicians and surgeons who are already doing this, it won't affect their practice at all," McGuire said about the law. "At this point, it's more of a gesture to honor the memory of Donda West rather than effective patient safety legislation."